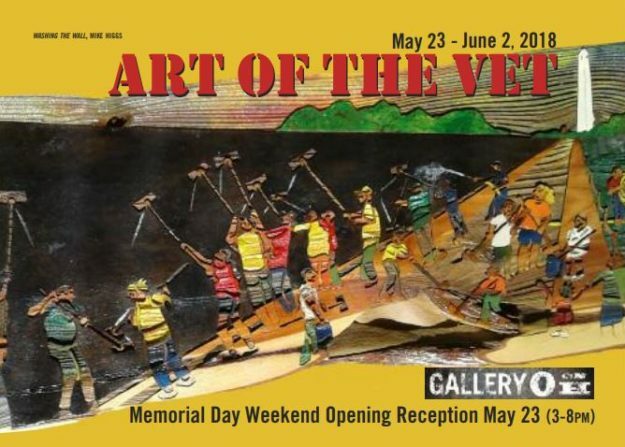 This Memorial Day, our partners who bring art therapy to DC Veterans will be featured in Art of the Vet— a week-long exhibit at Gallery O on H in Northeast DC. The show will include work from Kasse Andrews-Weller, who has used Forklift materials in art therapy sessions for residents of the DC VA Medical Center. This very special show will feature artworks created independently, in therapy programs, and by Veteran and military artists nationwide. The works in Art of the Vet include sculpture, photography, painting and more. Art is just one of many rehabilitative treatments used to aid Veterans and military members in their healing process. Art of the Vet honors the creativity of the Veterans and military members, thus recognizing the benefits and potent value of art in their lives. Following an opening reception on May 23 from 3pm – 8pm, the show will be on view through June 2, 2018. The gallery is located at 1354 H Street NE in Washington, DC, and open Tuesdays through Saturdays from 12pm – 5pm. We are also excited to host Kasse as a vendor at our pop-up artist market from 6pm – 8pm on June 1, during our First Friday event, which will also feature a live music, a mystery salvage sale, local food, and a clothing swap! 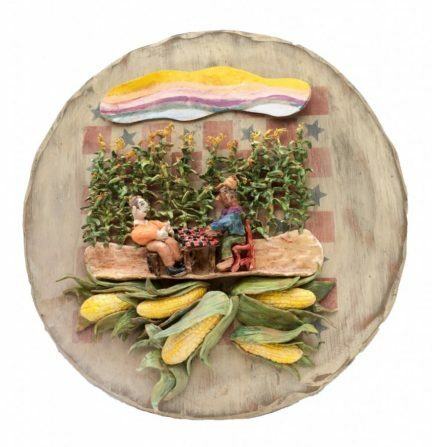 Kasse’s piece “Checkers in the Corn Field” was shown in a past exhibit of her work at Gallery O on H.